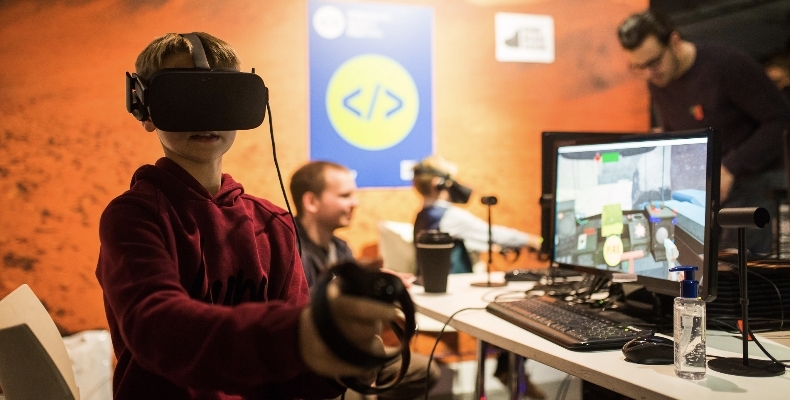 The British Academy of Film and Television has partnered with the Yorkshire Games Festival to launch the UK’s first conference specifically for young game designers. The conference will run from 6–10 February at the National Science and Media Museum in Bradford, and include a series of workshops and talks, as well as a specialist BAFTA careers bar. The event aims to inspire young people to pursue a creative interest in games and to showcase the career opportunities available. The new careers bar will be available on 9–10 February, and will include a series of short, inspiring talks from UK games developers on everything from character design to starting your own company. Attendees will also have access to advice from BAFTA’s professional development network, BAFTA Crew. There will be quieter, more relaxed sessions available for those with learning difficulties, anxiety, Asperger’s and autism. These groups will take place on 7 February and will be led by the needs of the attendees. I am always amazed at the creativity of the young people we work with, and cannot wait to hear the original ideas they come up with during the workshops. The careers bar will also provide information on the YGD competition. Held annually, the YGD competition encourages young people to create, develop, and present their new game idea to the world. Winners receive support from games industry professionals, as well as mentorship from those currently working in the games industry. Categories of the competition include the Game Concept Award for an original game idea, the Game Making Award for the coding and creation of a game, and the Mentor Award for leaders or teachers who are particularly inspiring young people in game design. Entries are open to ages 10-18, with a deadline of 13 March.